We have some very exciting shark diving itineraries with our friends ScubaAddicts in South Africa. Known as one of the very best places to get up close with a number of shark species, we also have some options to add on safari’s and even extend your trip into Mozambique. 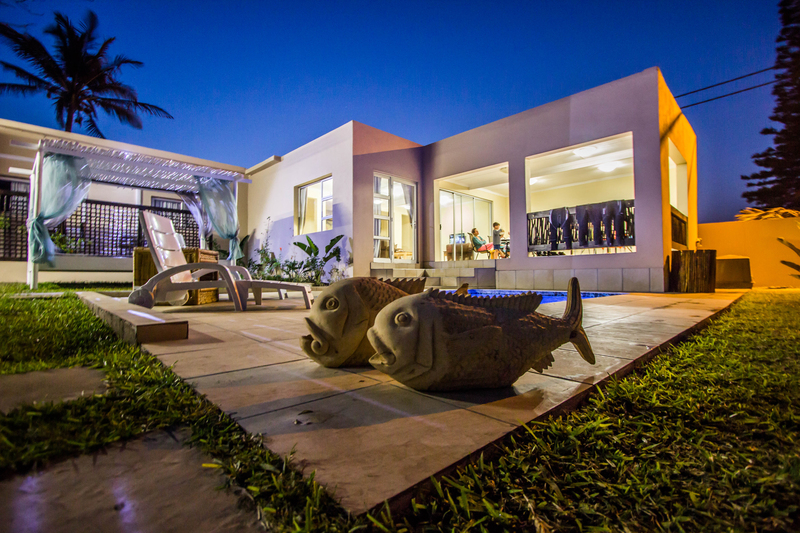 ScubaAddicts Lodge & Dive Centre is a beach-front dive lodge and is situated in the small diving town of Umkomaas, South Africa overlooking the Aliwal Shoal and 45-minutes from Protea Banks in South Africa. 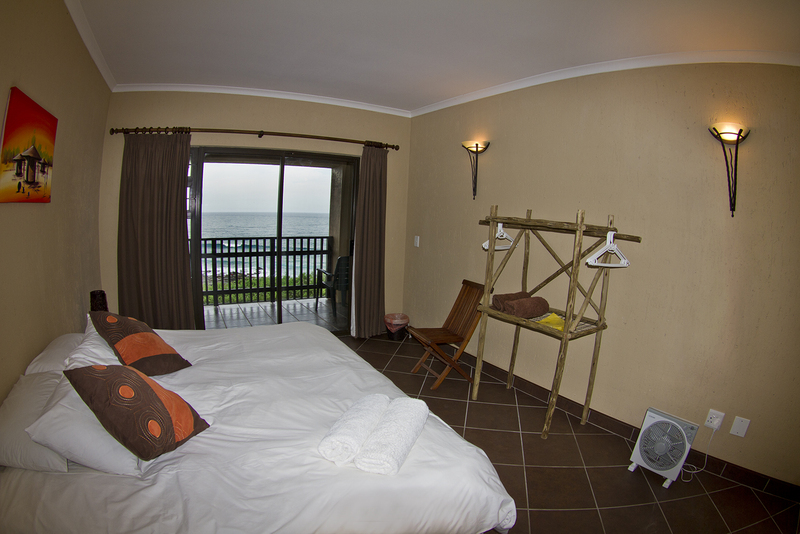 Every room at ScubaAddicts Dive Lodge has 100% ocean views over-looking the Indian Ocean, miles of sandy beaches and the Aliwal Shoal, rated as one of the top shark diving sites in the world! The on-site dive center means no daily transfers between your accommodation and dive center! 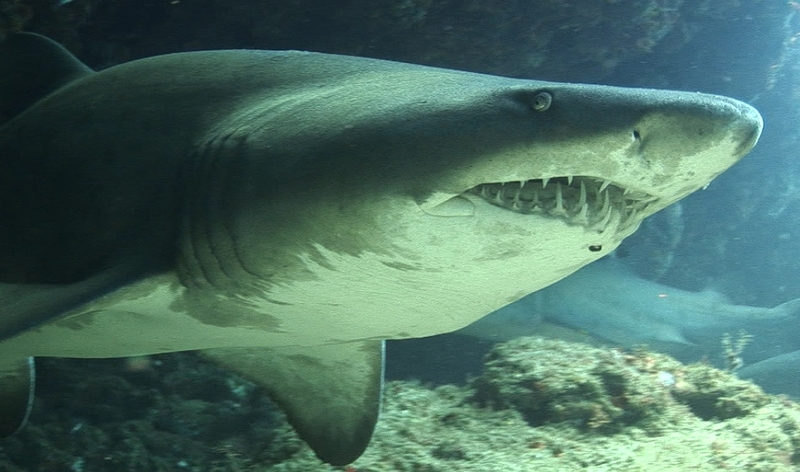 Just wake-up, roll out of bed and go shark diving at the Aliwal Shoal & Protea Banks in South Africa – awesome! 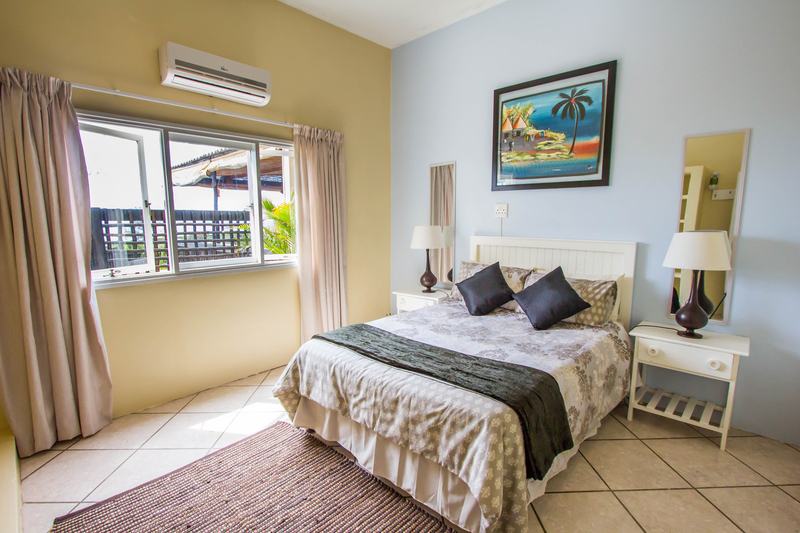 All the rooms at ScubaAddicts Lodge & Dive Center have 100% ocean views from the room and the private balcony, overlooking miles of sandy beaches, the Indian Ocean and the Aliwal Shoal. Every Room has private en-suite facilities with showers and are available as single occupancy [king size bed], twin occupancy [2 x single beds] & double occupancy [king size bed]. The rooms are serviced daily. 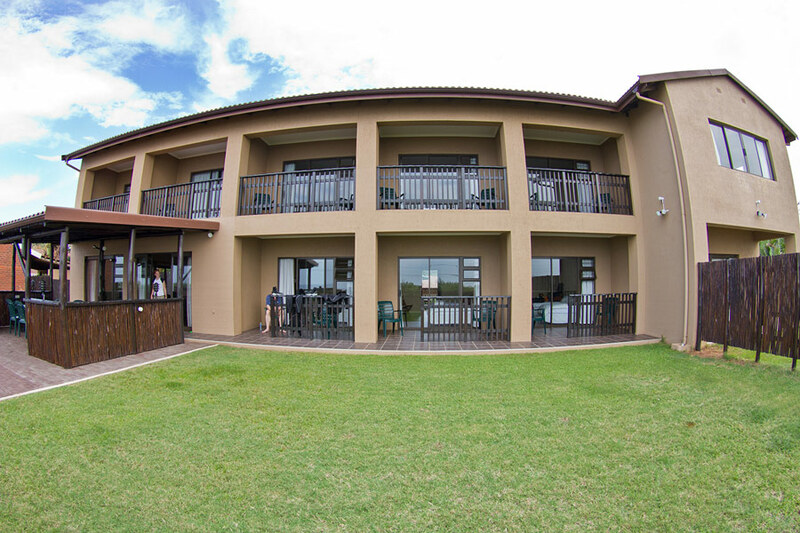 A continental breakfast is served at the lodge over-looking the ocean and includes a selection of cereals, yoghurts, fresh fruit salad, toast, cheese, jams, orange juice, tea and coffee. 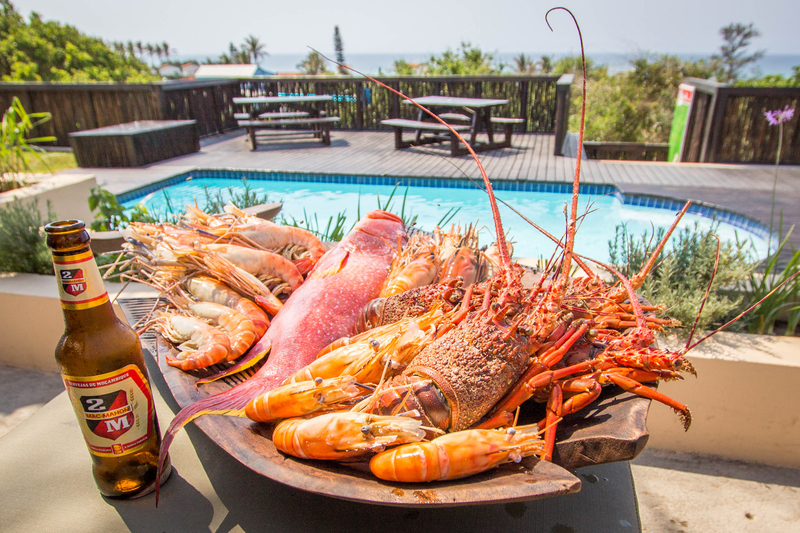 After the diving, lunch is served at the lodge either at the pool or over-looking the ocean. They offer a range of burgers, toasted sandwiches, salads as well as a variety of daily specials. Each evening they offer dinner at the lodge which include many local meals, general favorites and traditional braai [BBQ] nights or you can go to a local restaurants, they will provide transport. 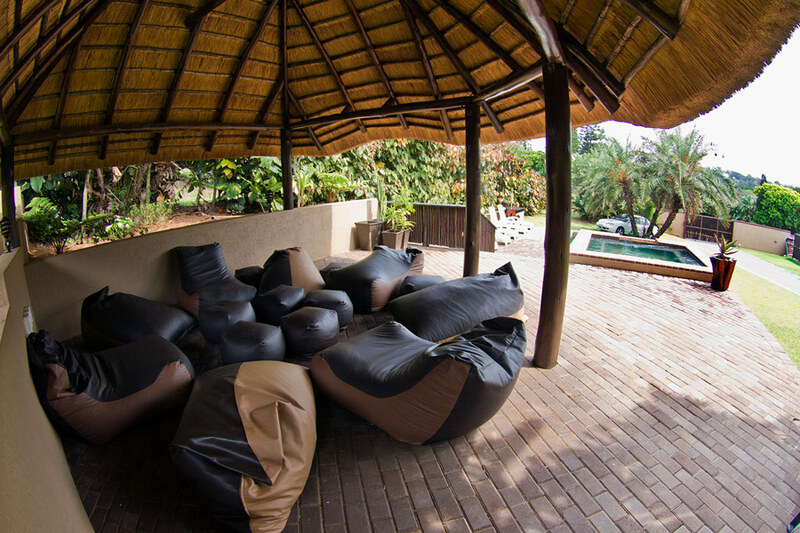 The chill-out area [known locally as a lapa] is perfect to enjoy the outdoors while staying out of the sun. Enjoy a drink, a good book or even an afternoon snooze in the ocean breeze! 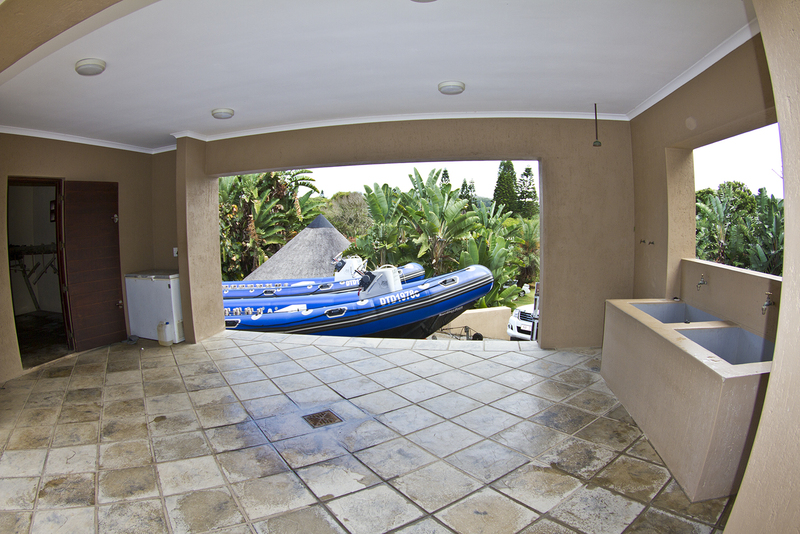 The lounge area overlooks the ocean and is ideal for relaxing, watching T.V [satellite], DVDs or just chatting to other divers about the days shark diving. The swimming pool area is perfect for you to relax after the days shark diving. 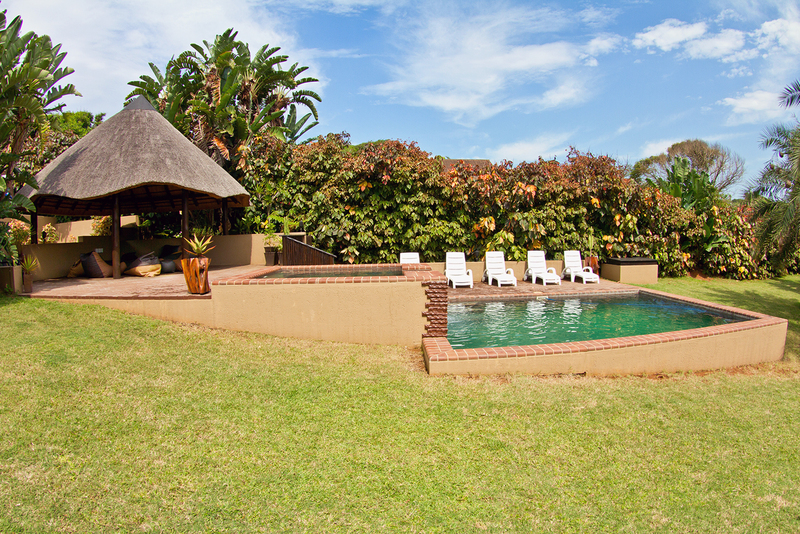 They have a shallow seated pool where you can enjoy a drink and a deeper pool to relax in. For the sun seekers, there are many sun loungers around the pools. 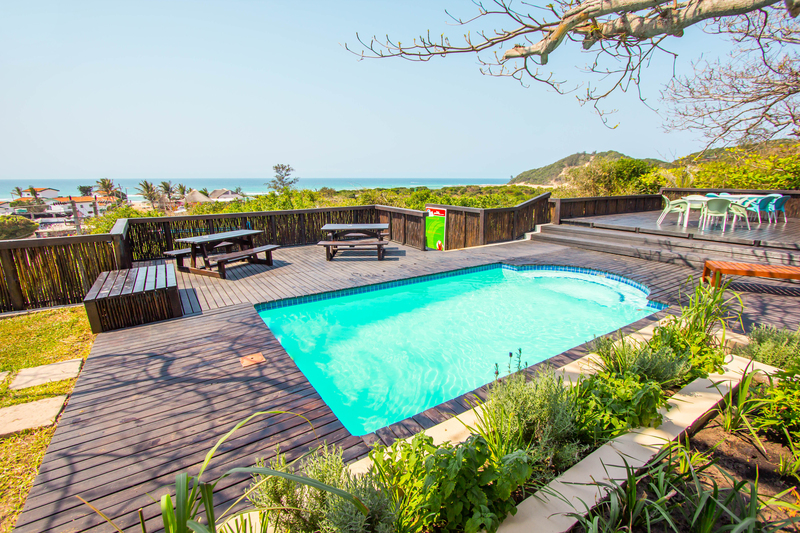 The dive lodge over-looks the Indian Ocean, Aliwal Shoal and miles of sandy beaches. 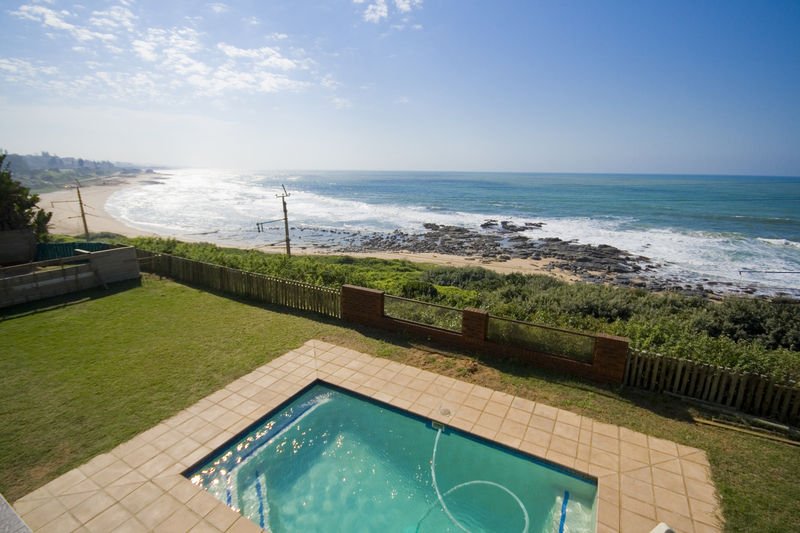 Enjoy an afternoon walk along the beach, explore the rock pools or just relax on the beach. 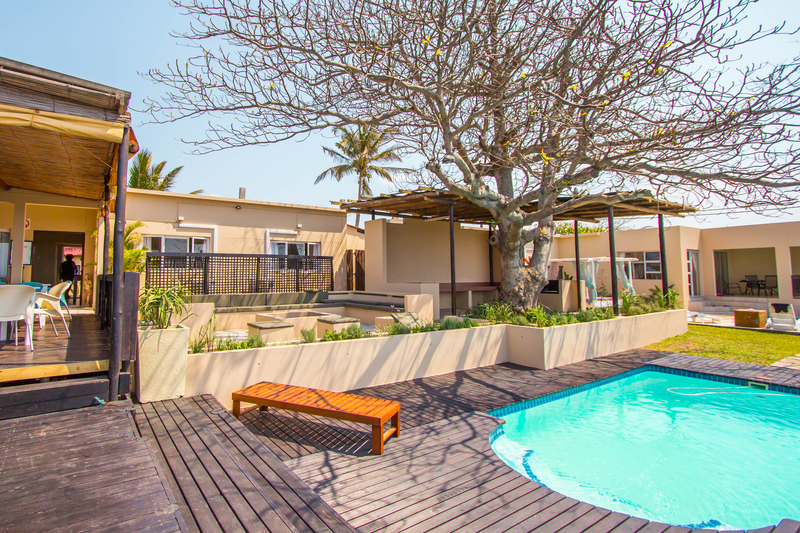 The on-site dive center means no daily transfers between your accommodation and the diving, wake-up, roll out of bed and go shark diving at the Aliwal Shoal. The dive center has a large kit-up area, rinse tanks, hot showers & gear storage. 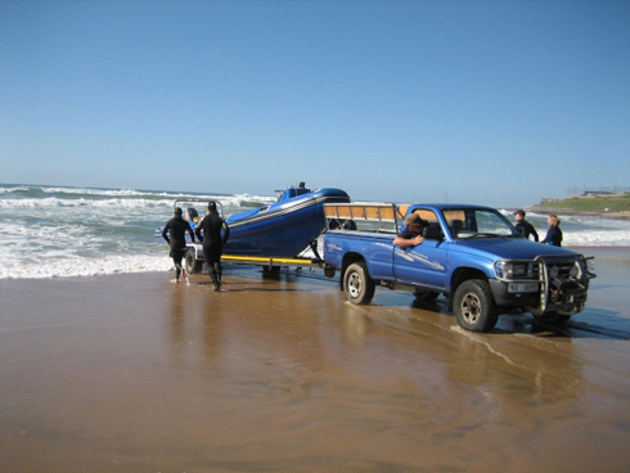 ScubaAddicts are the official operators of ‘SharkWEEK South Africa’. Their ‘SharkWEEK South Africa’ package is for qualified divers wanting to get up-close and personal with the many species of shark found on the reefs of Aliwal Shoal and Protea Banks in South Africa. 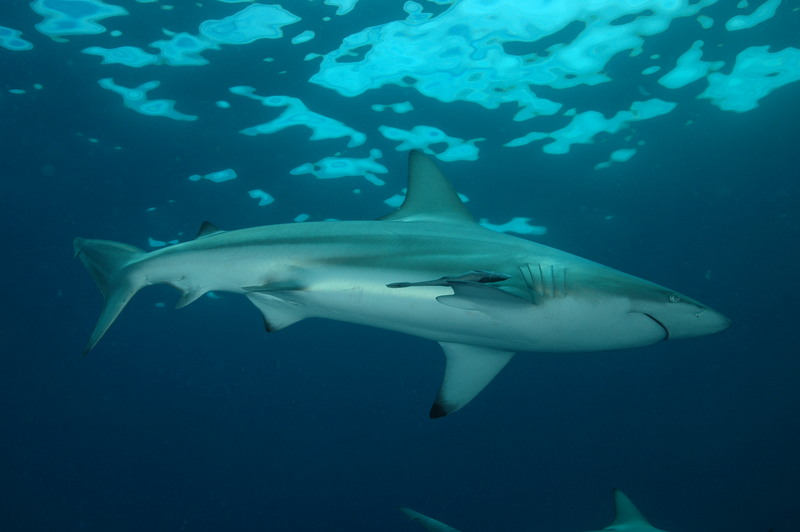 The aim during ‘SharkWEEK South Africa’ is to dive with the many species of shark found on the Aliwal Shoal and Protea Banks including : Tiger Sharks, Ragged Tooth Sharks, Oceanic Blacktip Sharks, Dusky Sharks, Bull Sharks, Hammerhead Sharks, White-tip Reef Sharks and Giant Guitar Sharks. The Aliwal Shoal and Protea Banks are also home to a huge variety of other marine life including Whales, Dolphin, Turtles, Manta Rays, Devil Rays, Eagle Rays, Ribbontail Rays, Eels, Game Fish & much more. The diving takes place between 10-meters & 30-meters and you will sometimes experience currents. During your stay you will experience reef diving, wreck diving, drift diving and of course shark diving! During ‘SharkWEEK South Africa’, you will get to observe the sharks, learn how to identify the different species, understand the sharks behaviour and find out how sharks interpret your behaviour in return. ScubaAddicts are a specialist shark diving operator, they don’t offer dive courses so your dives and dive sites are not restricted by having student divers on the boat. They offer a SHARK GUARANTEE – Dive with Sharks or your diving is FREE!. Due to the fact that ScubaAddicts are permit holders for both Aliwal Shoal & Protea Banks, their baited Tiger Shark dive takes place at either the Aliwal Shoal or Protea Banks, depending on the conditions. The baiting takes about an hour or more [depending on the Tiger Sharks]. 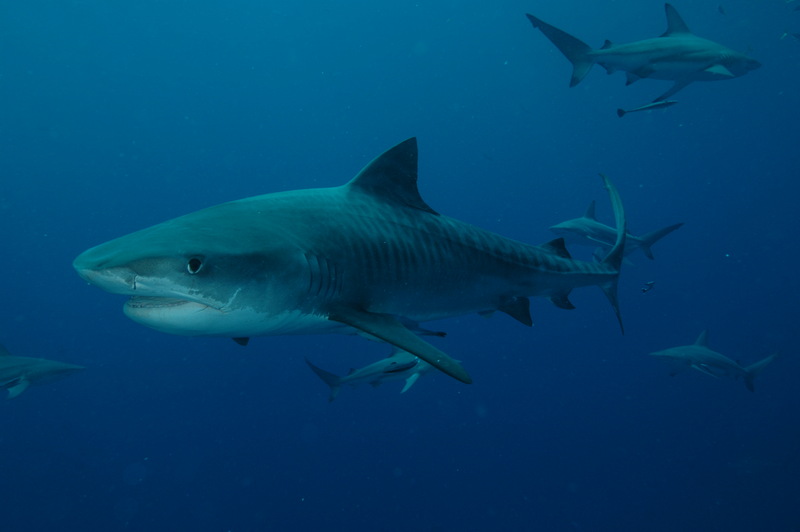 They create an odor corridor to attract the Tiger Sharks. Once the Tiger sharks arrive you enter the water to dive with the sharks, observing the sharks in their natural environment. Before the Tiger Shark Dive, they will give a full briefing to help you to understand their behaviour and how you behave in return. 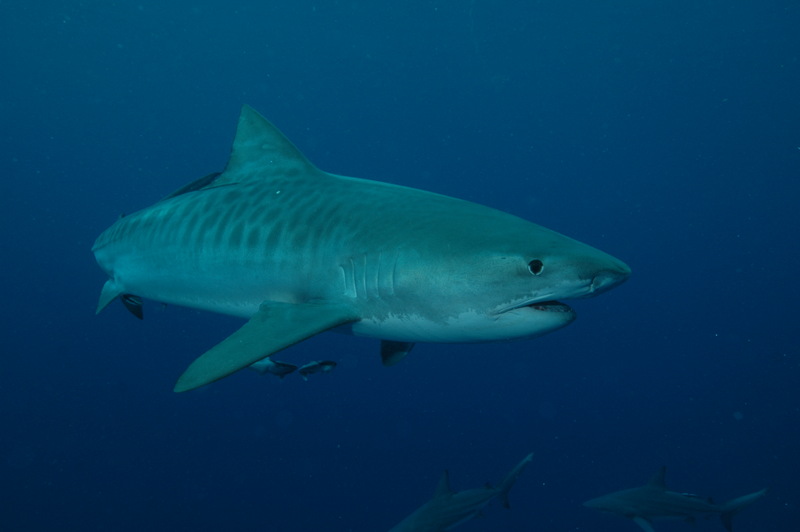 Tiger Sharks are very shy, they are also very inquisitive and intelligent animals which is why they are one of the ocean’s apex predators and deserve the highest respect. 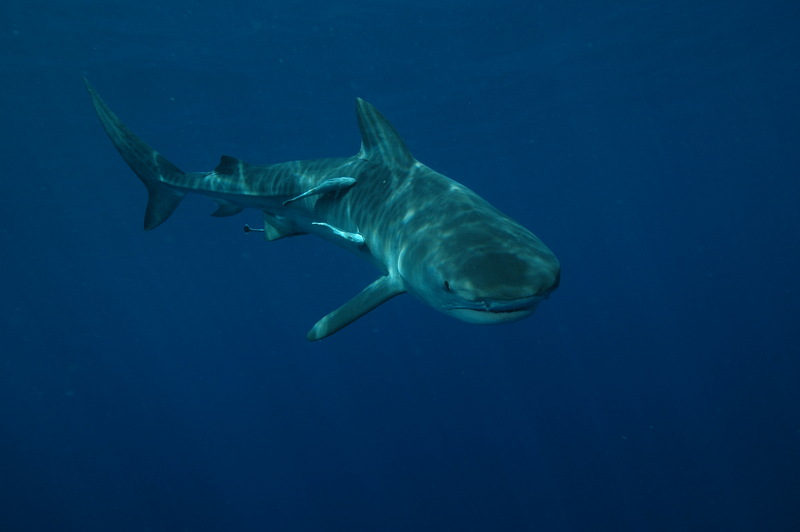 They generally have between two and six Tiger Sharks on a dive as well as Blacktip Sharks, Dusky Sharks and sometimes other species including Bull Sharks [known locally as Zambezi Sharks]. 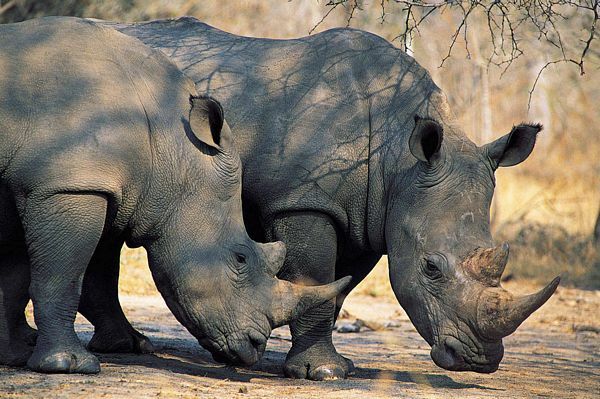 If you would like to Extend your Stay in South Africa to experience a Big-5 Safari, we offer a package that includes all Transfers, Accommodation, Game Drives on an Open Safari Vehicle as well as a River Cruise on the St. Lucia Estuary to see the Hippos & Crocs. ScubaAddicts are one of the only dive operators with scuba diving permits for the Aliwal Shoal, Protea Banks & Tiger Shark Diving so they can keep the diving flexible, ensuring you dive the best dive sites for the daily conditions. Dive with Tiger Sharks, Oceanic Blacktip Sharks, Ragged Tooth Sharks, Dusky Sharks, Guitar Sharks, Bull Sharks, Hammerhead Sharks & much more including Whales, Dolphin, Turtles, Rays, Eels, Game Fish, Reef fish & more. After the shark diving you transfer to the St Lucia Wetlands Reserve to get up-close and personal with Africa’s wildlife including the Big-5 on safari at Hluhluwe-Imfolozi Reserve. Lunch is included in the Full Day Game Drive Safari. 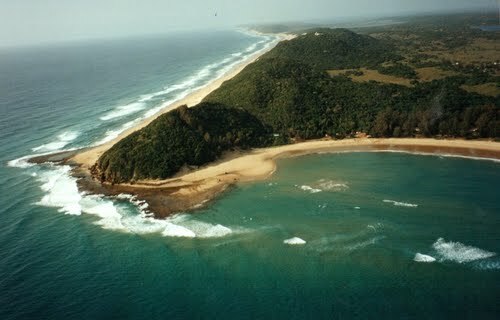 Ponta Do Ouro in Mozambique. Mozambique accommodation overlooking the beach. Join us for the ultimate shark diving adventure in South Africa & Mozambique and dive the Aliwal Shoal & Protea Banks in South Africa before we transfer into Mozambique for an awesome adventure and some amazing shark diving on the reefs of Ponta Do Ouro, Ponta Malongane and Ponta Mamoli in Mozambique. Relax after your days diving in the pool. Food in Mozambique is amazing and cheap. After the shark diving in Mozambique, we transfer back into South Africa to the St Lucia Wetlands Reserve where you will experience a Full Day Open Vehicle Safari in the Hluhluwe-Imfolozi Reserve so that you can get upclose and personal with some of Africa’s wildlife. Experience the best shark diving South Africa & Mozambique have to offer. Access to diving quick and easy. The package is fully guided and includes airport pick-up’s and drop-off, transfers & transportation, accommodation [including breakfast] and diving [as per itinerary above], cylinders, air, weight belts, weights and diver permits. Lunch is included for the full day safari. Most divers seem to favour 5-mm wetsuits year-round, if you feel the cold then gloves and a hoodie are a good idea. They do have shortie wetsuits that you can add to your wetsuit if you are cold. ScubaAddicts use 12-liter steel cylinders which are available as A-clamp [international] or DIN so will suit all divers. Dive gear is available for rent so you don’t need to bring your own gear. Once we have your booking, you can just let us know what dive gear you will need. Generally very warm with rainfall. Sea conditions are calm in the morning becoming choppy & windy later. Generally warm with very little wind. Sea conditions are usually calm. Generally warm and dry. Sea conditions are generally calm. Generally warm, dry & sometimes windy. Sea conditions are calm in the morning becoming choppy & windy later.